Around my mother’s candlelit dining table, several relatives sat beside me, each taking a turn to shuffle through a Rider Waite tarot deck. Each shared a specific concern before a handful of cards were selected at random and placed in the classic Celtic cross formation. In the wake of an aunt’s sudden and untimely death last year, my family reunited through a series of polite dinners and strained holiday events, our bonds reemerging after a long winter of estrangement. Gathered before the tarot, our presence served as an unlikely but inevitable means to deepen our reconciliation. Ours was a family with an inclination toward the supernatural. Growing up, I enjoyed hearing the stories of cousins and aunts who spoke of visions and dreams involving visitations from the dead or foretelling warnings of illness or death. 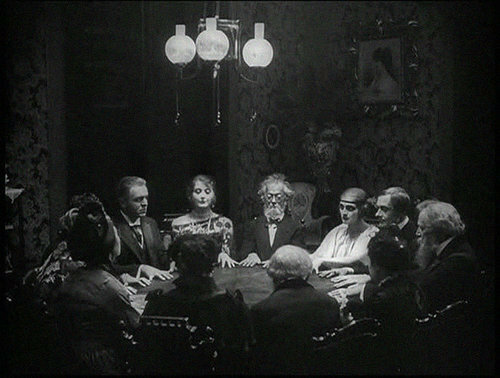 Family tarot readings were one of my earliest memories, a tradition perhaps as old as the Sicilian folk rituals practiced among my great aunts and grandmothers, who, on occasion, would flick droplets of oil into a pot of boiling water, hoping to decipher il malocchio, the evil eye. The shape that the oil took to water could reveal who wished ill against you. These were conversations held behind closed doors, in hushed whispers. Not everyone in the family approved of these habits. I still remembered the fear and disgust in the gaze of my paternal grandmother, a devout Catholic, when I mentioned seeing a psychic with some high school friends, as if I’d already invited the Devil inside. Still, we found comfort in tarot, dealing in these psychological symbols to access the subconscious, thanks perhaps to something mysterious ingrained in our genes. In Sicily, the traditions between Paganism and Catholic traditions so often intersect, echoing the ancient worship of Demeter and Persephone, goddesses who symbolized the harvest and the seasons, the cyclical nature of death and renewal. Ritual evoked protection against what was unknown and therefore threatening. Sicily, an island rooted in trauma, has had its fair share of conquerors, war and political corruption, the violence of the Mafia, severe poverty and the ongoing refugee crisis. Superstition and fear, the all-consuming venom of jealousy and bitterness, seemed imprinted upon our collective psyche in consequence. How could we learn to trust again? One by one the cards revealed our individual angst—the fallout of bad choices, the slow-healing wounds of heartache and betrayal, the ennui of unfulfilling careers and dreams left undernourished. There was a chilling accuracy to the cards, not exactly predicting the future, but offering a kind of tough love ready to inform you of what you needed to hear rather than what you might wish. Our readings echoed one another with certain cards reappearing. The Three of Swords spoke of open wounds still festering from the past, while the Nine of Swords illuminated the more hidden issues of fear distorting truth and fostering misunderstanding. The Eight of Cups cautioned in maintaining safe boundaries at all costs. The Death card indicated transformation, a path of transcendence through healing, if we were open to it. We listened carefully and debated meaning, taking what we found seriously, even if it was also entertaining. In tarot, we could suspend disbelief and indulge in the possibilities of the unknown. Here, we could hope for a better fortune in one another’s cards, while revealing intimate truths difficult to express otherwise. In those moments around the tarot, we found, if only briefly, some familial closeness.